I know that Christmas has been over for a week now, but I have one adorable activity that I wanted to show you! 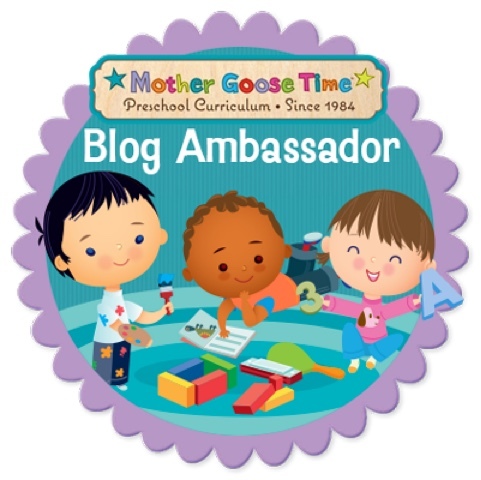 As a Mother Goose Time Blog Ambassador, they'd like me to describe an activity which taught math and reasoning and number concepts. We did a Santa activity that encouraged both Tiny B and Strong B to build number recognition skills. 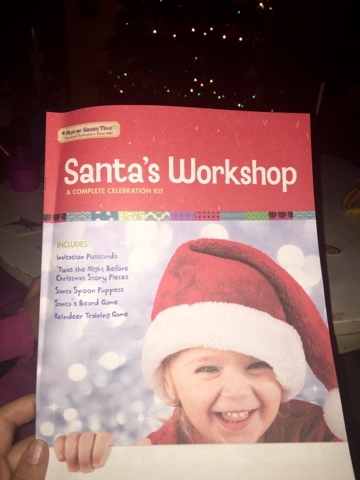 This activity came with the Santa's Workshop kit included in the curriculum for December. Every month that I've been a blog ambassador, there has been a special kit included, and that's one of my favorite parts of this curriculum. 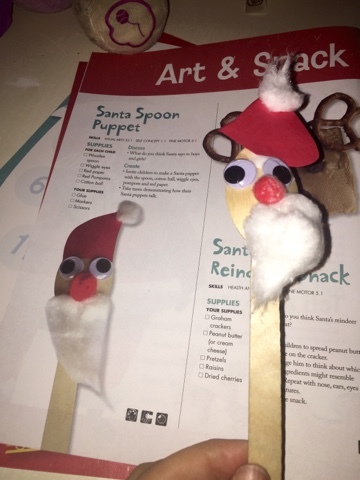 In this kit, we were able to built a Santa puppet. So stinkin' adorable. 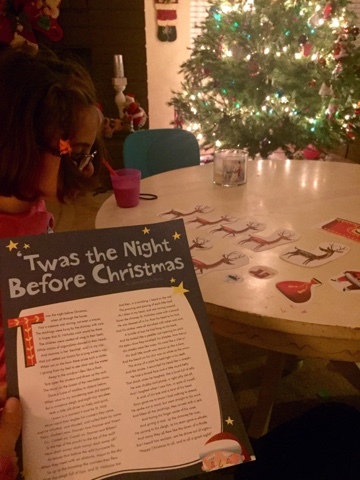 We also read "'Twas the Night Before Christmas" as the kids held up props from the story that were included in our kit. 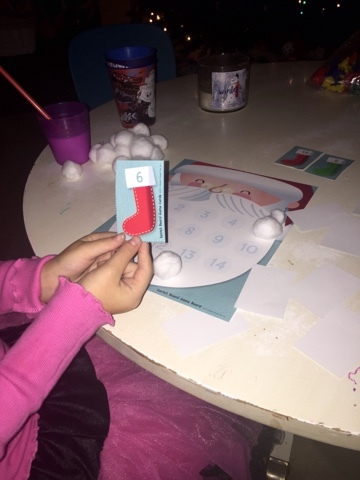 Our math activity involved matching numbers on cards to the numbers on Santa's beard. 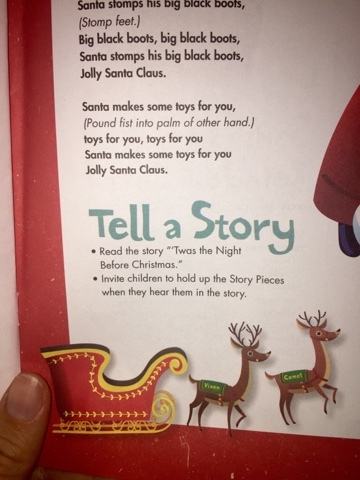 I have to admit that this seemed very basic for my 5 year-old at first. I really thought that this would only be beneficial for my 3 year-old. Well, I was wrong, as I am too many times to count! Don't you sit around the Christmas tree in your tutu?? We begin by laying the cards with numbers 1-16 on them, faced down on the table. There was also a card with a robber on it. As each child drew a card, they would take a cotton ball and place it on that same number on Santa's beard. This is where I realized that my 5 year-old doesn't recognize some numbers after ten consistently, and this was amazing practice for number recognition. 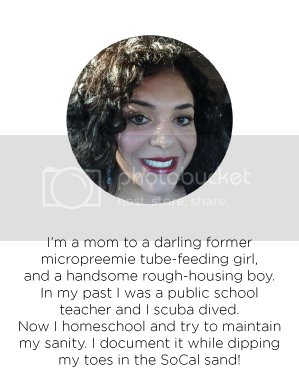 (I realize that I should have known this at the beginning of the activity, but this is a perfect illustration as to how medical issues with one's child can affect so many things...). 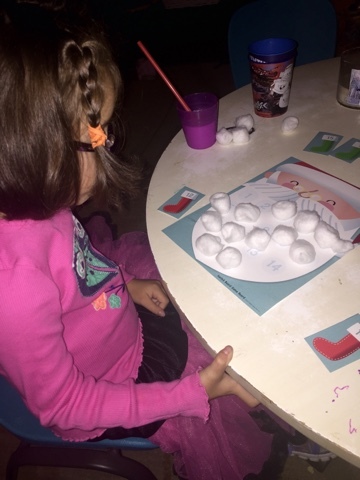 The kids took turns drawing the cards and placing the cotton balls on Santa's beard. We discussed each number. Tiny B encountered a problem where she accidentally put the card that she had just drawn back in the remaining cards, so we peeked at each one until we found the card. It made for a great extra little learning opportunity. Gotta grab those when they happen! 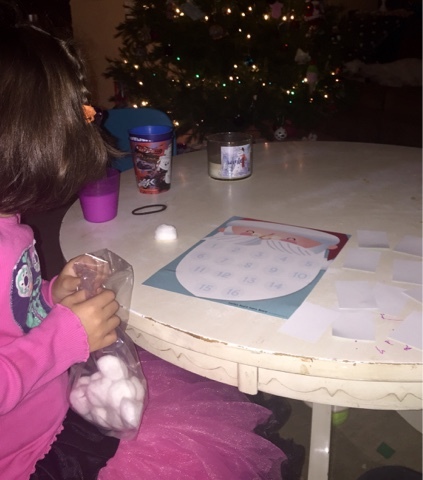 When the kids would pick the robber, they had to take off some cotton balls and start again. They thought it was hilarious!!!! The night was so beautiful and so fun, sitting in front of the tree. Now that the tree is put away and 2016 has begun, I almost long for that night, knowing that it won't happen again for another year. Those sweethearts will be a year older, and hopefully I'll be a year wiser, and we'll have more precious activities to do under the tree, but they'll never be three and five again at Christmas. Going on Safari with Mother Goose Time!